1974 would like to welcome Maria Soaft, Nicole Dickinson, and Leah Lorenzo into the band! They've been working hard with us to bring our vocal work to the next level. Who's ready for summer? We are gearing up with some new tunes and looking forward to getting back onstage soon. Check the shows for updates! 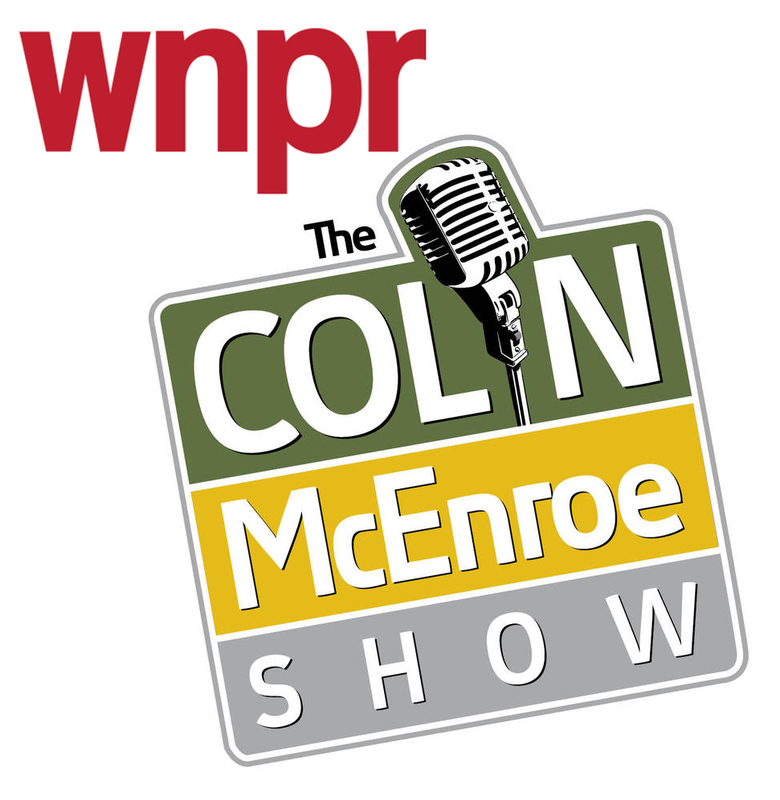 We had a fantastic time on The Colin McEnroe show! So much fun talking about music. We'll post a link to the show when it comes out! Thank you to everyone who tuned in! If you're in CT, come see us play at Arch Street Tavern in Hartford this Friday night! Wow what a week and its only Monday! Make sure to tune in to WNPR tomorrow (Nov. 28th) at 1pm. We will we chatting about Prog Rock on the The Colin McEnroe Show. 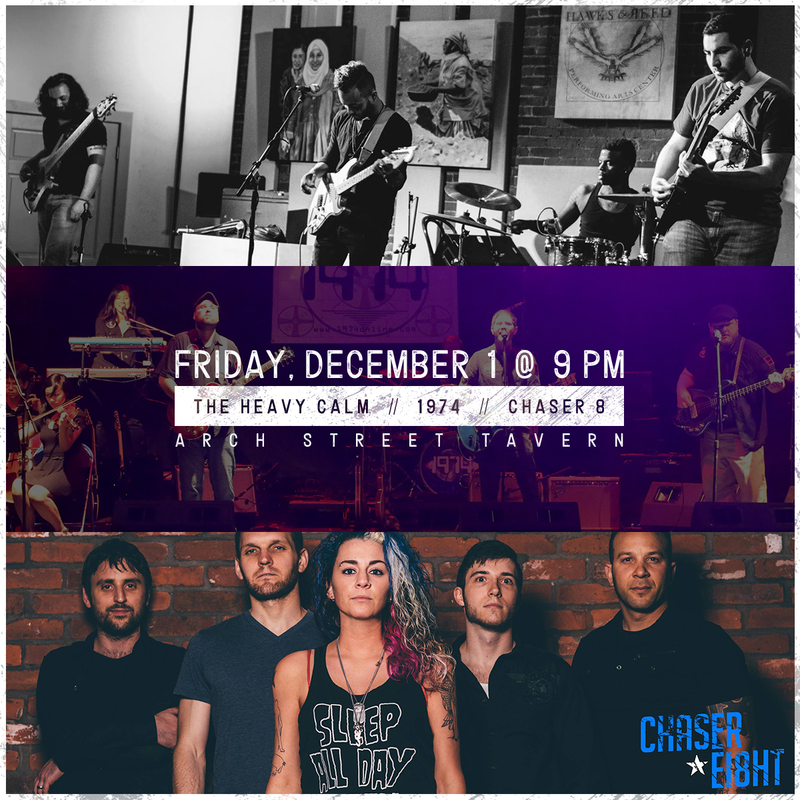 Catch the full band Dec 1st at Arch Street Tavern with The Heavy Calm and Chaser Eight. Chaser Eight, 1974, & The Heavy Calm at Arch Street Tavern. We've got a show coming up the first of December. Two shows coming up. Check it out on our shows page. Tickets for the cd release show on sale now! Get yourself ready for September 23! 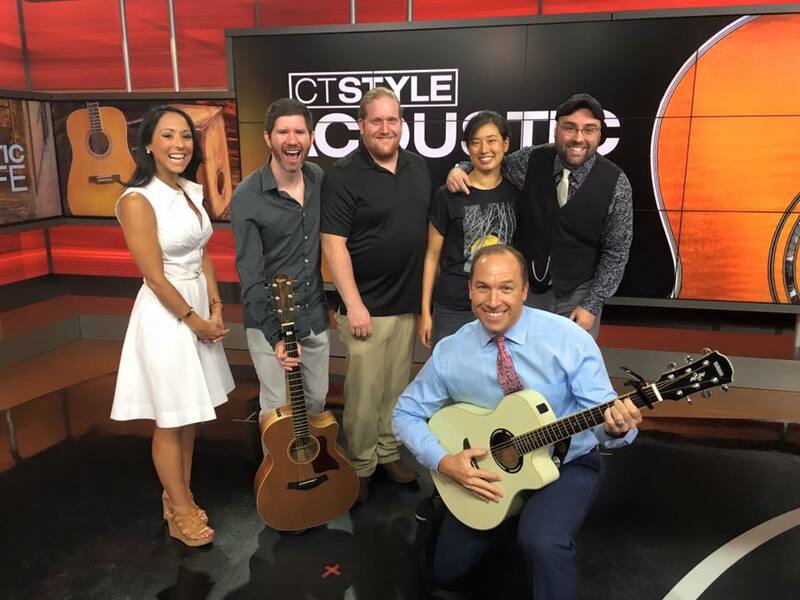 Thank you to CT Style for featuring us on air! 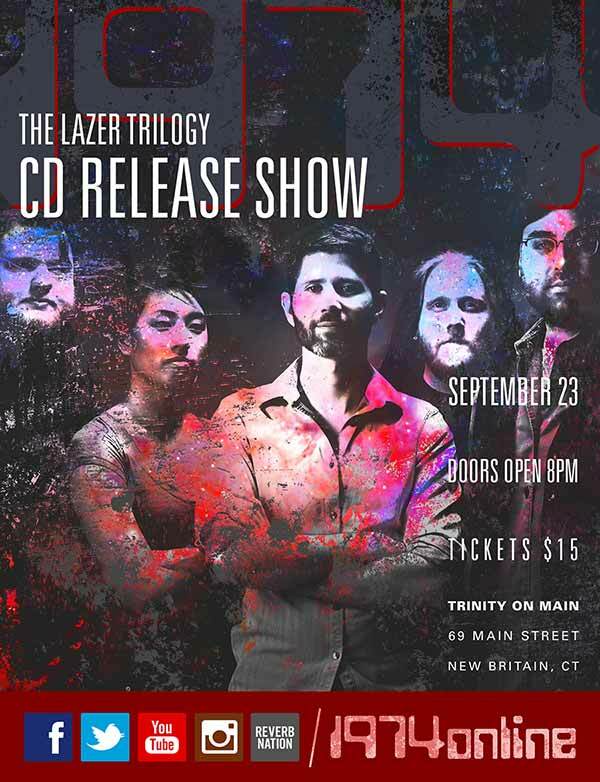 Now prepare for September 23 for our cd release show! Behind the scenes at the WTNH Channel 8... getting ready to tape our segment for CT Style! We had a blast at the Best of Hartford Magazine Party! 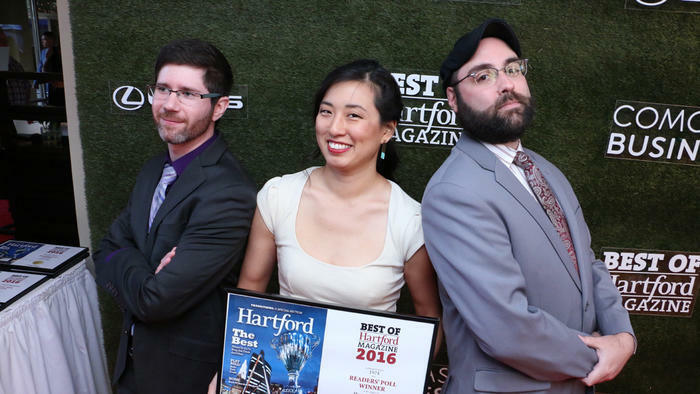 Thank you to Hartford Magazine for choosing us for Best Overall Band" and "Best Rock Band". We have some shows coming up. Heck yeah. Get your calendar excited. We are also really excited to share that we are going to be featured guests on WTNH Channel 8 on the CT STYLE show! Live on Wednesday, August 19... be sure to tune in! 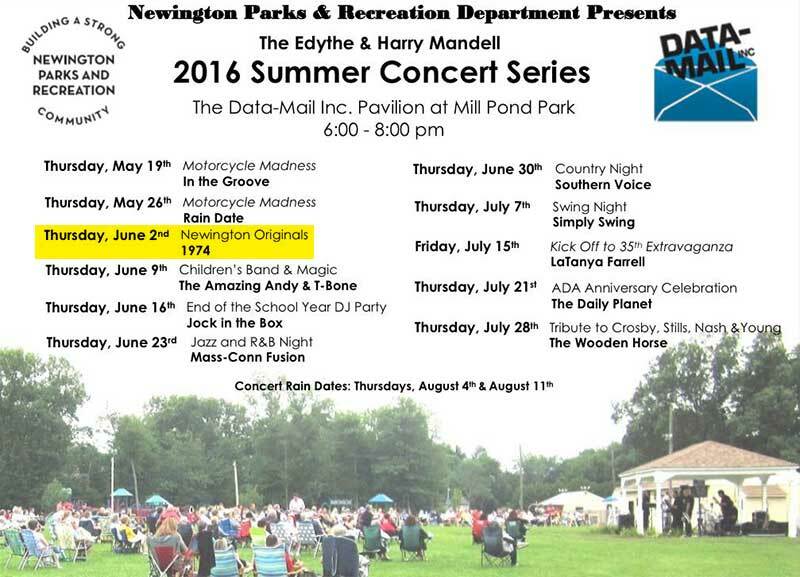 Our next show will be THURSDAY, JUNE 2, 6-8 PM, playing in our hometown of Newington, CT! We are performing as part of their Summer Concert Series. Come out and join us! 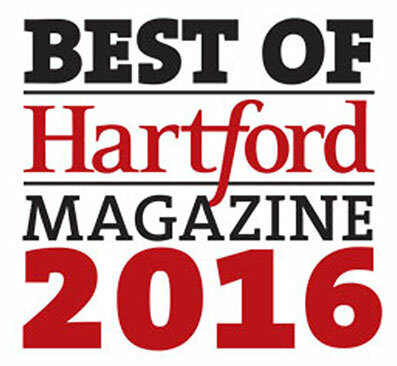 We are extremely happy to announce that 1974 won Best Musician/Band for Hartford Magazine's "Best of 2016". A huge thank you is owed to all of our amazing friends and family who have continued to support us throughout all these years! In our daze of elation, we decided to let a single slip out from our private lair... give a listen to the first official single off our newest album, "1974 & The Echoes of War" (official release to come later this year). Without further ado, here is "Swan Song of the Enemy"! 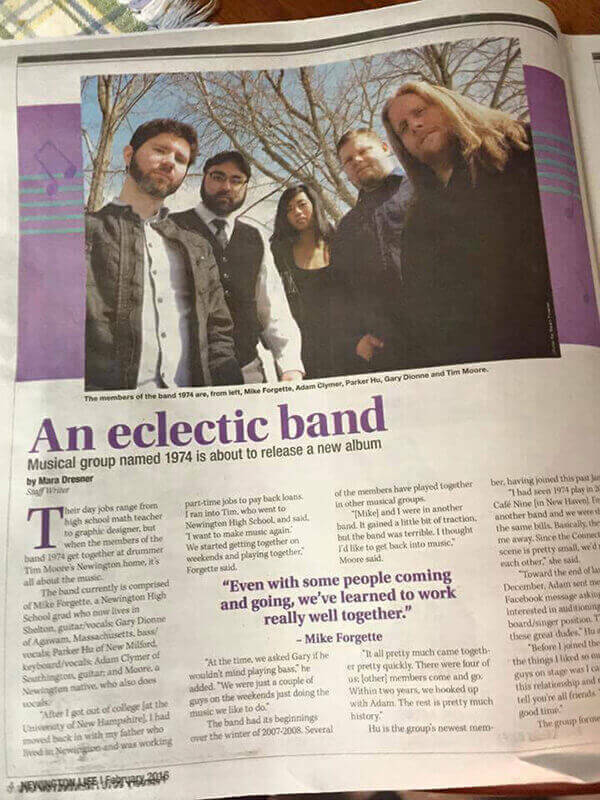 We are thrilled to have been featured in this month's issue of Newington LIFE! Thanks to ANROVA Photography for this video from our show at The Space fundraiser! Check out the video that Joe Arthur made for our new song "Ultimatum"! ...and the video that CT Ain't So Bad made for our new song "Vera"! We won!!! 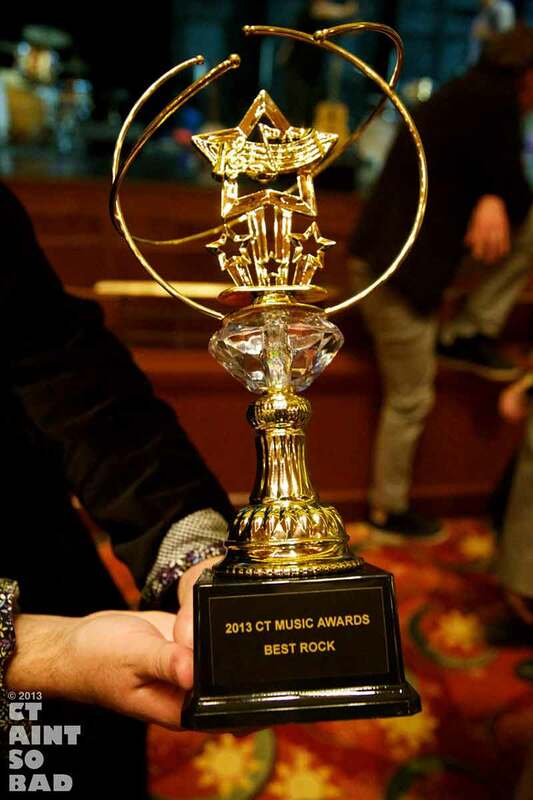 Thank you everyone who helped vote for 1974 as Connecticut's "Best Rock Band" for the 2013 CT Music Awards. We also want to thank CT Ain't So Bad for the coverage!